Beds are a big deal since we spend about half of our lives on them. This is one area where I splurge a bit and make sure I get exactly what I want. DH and I have a king size captain's bed with drawers beneath. My 2 oldest kids also have captain's beds which are more expensive, but the extra storage has been worth every penny. In my opinion, the only kind of bed that is better than a captain's bed is a divan bed. 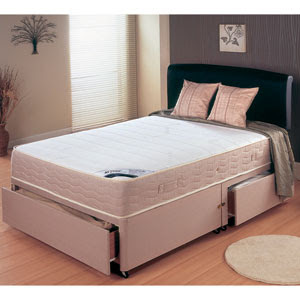 What is a divan bed? 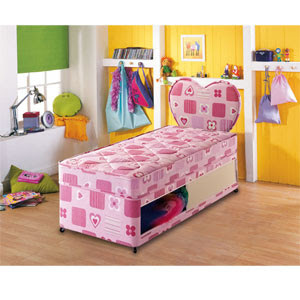 It is a very versatile bed that is part couch, part daybed, and part chest of drawers. It can be bright pink for a little girl's room, or sleek and contemporary for a guest bedroom/office or dorm room. A king size bed works great for my master bedroom, but twin size is ideal for a kid's bedroom. I have never understood why we call them twin beds since they are for a single person and outside of the US they are called single beds. My new house is huge, but the kid's bedrooms are tiny. Having extra storage and a small single bed is essential for us. This post has been sponsored by Bedstar. Haha Twin beds....I always wondered that too!